Denver: And for this evening’s Better Than Most segment, we will be going out to Silicon Valley into the Palo Alto offices of Benetech. We’ll begin with their CEO Jim Fruchterman and then hear from other members of the Benetech Team. 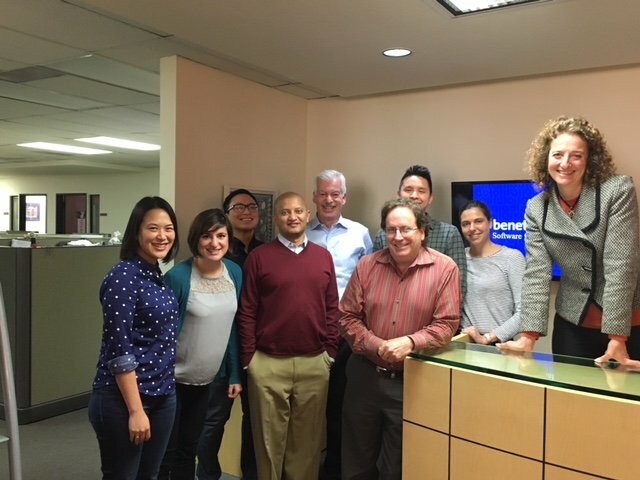 Jim: At Benetech, our culture really got defined by our team. 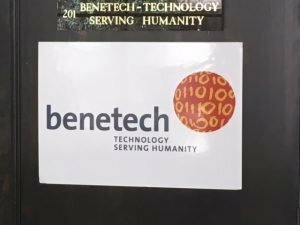 We ask them to tell us things that are true about Benetech and they came up with seven things that we think is true. And now we live by that. And so those seven truths just like permeate everything that we do: social good through technology, doing the right things right, being open over being closed in our the partnering, developing people… So, we have this sort of core values that make it lot easier for people to make the right decision. 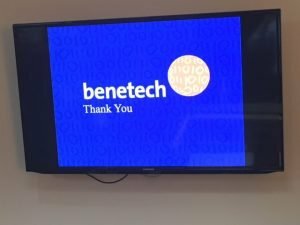 Sukhi: Benetech actually has very good work-life balance. We have many employees who have gone from full time to part time for various reasons and then come back to be full time. We have a highly flexible work environment where employees can work remotely at any given point in time or from home. Especially now with the high cost of living in the bay area, we’ve had some employees who moved elsewhere, and we’ve made it work for them. We are extremely flexible. We’ve actually found this to be a very productive tool to retain good employees. Mario: I think people feel empowered, and that was an intentional change that happened where one year, I forget exactly which one, we wanted to bring decision-making down to all levels of the organization. So, we explored how that was. We tested different processes and workflows to make that happen. It’s not a change that happened overnight. As I reflect back on it, the way we worked back in the day is different from how we do it today. Empowerment and feeling like you have the ability to make decisions and make things happen is here. Maybe the last thing, I would just mention is that it’s just cool. You tell people where you work and what you do, and their reaction just feels good. That counts for something. Michael: In the month that I’ve been here, I realized that a lot of it comes with trust. Trust is definitely the key when you want to work remotely, and you know you have the flexibility. It definitely leads to a lot of independence. Also at the same time, like Sukhi mentioned, productivity sometimes can increase because I’ve noticed that my teammates are always available for me to send a message to quick question. Rachel: One of the things I really enjoy about working here and particularly, the way that the work is approached is that, there’s a strong belief of doing the right thing for the issue at hand. Jim likes to call – sometimes these are called karma engagements in which there is some issue that arises; it’s a pressing human rights issue or something that another peer organization is facing, and we’re able to provide advice or play a connector role without expressly having a project and a funding stream in this full structure. It’s about doing the right thing because this is our mission. It also for me provides a lot of opportunities to connect with people across peer organizations whether they are tool developers or expressly human rights organizations, it allows me to work on this huge cross-section of issues in lots of countries that I wouldn’t necessarily get more contact within a more traditional human rights organization. 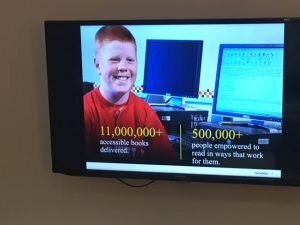 Sue-Ann : This week for example, I went over to General Motors, and I was sharing some of the work we do, and at the end of the presentation, somebody said, “Wait, are you a nonprofit?” Those types of feedback, it makes you really proud to just be able to make an impact and share what you do. Jennifer: For a tech company in Silicon Valley, one of the things that’s really special is that Benetech staff is actually majority female. It’s really special to be with a lot of women who are technical experts and subject matter experts as well as traditional managers and communicators. We also have a staff of people with diverse abilities including folks who are blind or visually impaired. People bring their seeing-eye dogs into work. I’ve even been able to learn a little bit about how Braille works from some of my colleagues. The tools that they use in order to be able to read their screens, and I’m amazed at the speed at which my colleagues can hear an entire screen read to them and be able to manipulate and get to the aspects of a software program that they want to get to. The other thing that’s really cool is that Benetech is a place where people’s ideas are valued. It’s a culture that listens to people and makes our individual experience and our individual contribution really feel empowered. In fact, that’s what Benetech is all about. It’s empowering people in general around the world to inclusive information, and it really walks the walk. Mark: We do a Denison survey; an annual survey for all employees that ask their opinion on mission, mission alignment, consistency, involvement, adaptability, and the original research shows link between corporate culture results. So we’ve been doing this for years, and it really does help guide even some of our corporate bonus objectives. Sometimes, we’ll have an objective for everybody on the team whether it’s around customer focus or accessibility. In that way, the whole team working together to learn together or to know our products better. Sukhi: One of my favorite perks is getting paid to either bike or walk to work or using public transportation. I think a lot of people here at the company use that. I personally like that. Jennifer: It’s called a 2-15, this is a practice that the senior management team engages in. The way it works is that every two weeks or so, managers are asked to write down what have you been working on for the past two weeks and what are you planning on working on for the coming two weeks. 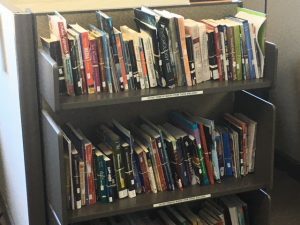 Those exchanged among a team of 15 or so people and it’s called a 2-15 because it’s supposed to take two minutes to read and only 15 minutes to write but in reality, it takes a lot longer to synthesize what you’ve been working on. So maybe it should be called like a 2-60 because it usually takes me an hour to write them. Mark: I know, at these company meetings, I mentioned Jim is very transparent about any issues that are going on in the company. Last year, we were still waiting on funding, and he was forthright and upfront about where we stood and trying to keep the company up to speed. Letting us all ride the rollercoaster with him, and I think as a culture, there’s a lot of trust to that. Jillian: We’re fortunate to be located in sunny Northern California in Palo Alto, and we’re right on this small downtown street that is surrounded by some beautiful residential areas. Not only is there natural light coming in, which is fantastic motivator, at least where I sit, there is an opportunity to get outside. I’ve actually taken; I manage five different people. We’ll actually do walking meetings. Instead of going into a conference room; many of which do not actually have windows, we’ll go outside, walk around the block. There’s a park nearby, and it’s nice to get out and have some fresh air and also get some different perspective. Rachel: Someone will come in for a meeting often for us from DC and they’re slightly more professionally dressed perhaps and used to a slightly stricter business environment, and we’ll bring them in and ask them if they want coffee or tea. In the kitchen, we have an enormous collection of rubber duckies that sits above the kitchen cabinets. It’s one of the quirky things that exist at Benetech and tells people when they come to visit us that this is a little bit different. 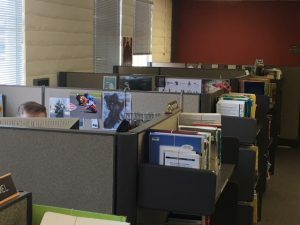 Sue-Ann: I think it’s having come from corporate world as well as having volunteered at various nonprofits, it’s really great that what we do is a fusion. I’ve seen a lot of organizations that are smaller and maybe doesn’t have the efficiencies that we do; have in terms of business development and having marketing team that can support all of that. But also on the corporate side, at the end of the day, you don’t find as much. It’s not as fulfilling to go home. 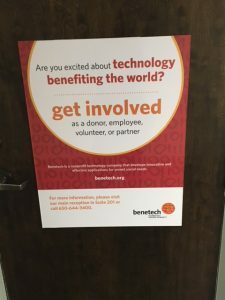 Benetech is that perfect balance between by what I’ve seen the corporate and the nonprofit world in lots of really great synergies that are brought together because of that. 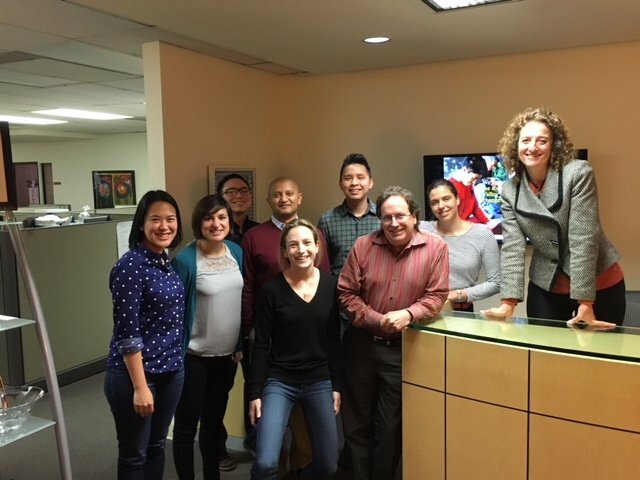 Denver: I want to thank Sara Gebhardt for organizing my visit and to all those who participated in this piece: Mark Roberts, Sukhi Nagesh, Mario Oliveros, Michael Tran, Rachel Bernstein, Sue-Anne Ma, Jennifer Kane, and Jillian Hesler. To hear this again, read the transcript or see pictures of the participants in the Benetech offices, come to denver-frederick.com, and will have posted there for you my full interview with Jim Fruchterman, the founder and CEO of Benetech.